On 19 June 1915, the Kent Messenger published an article entitled ‘A Patriotic Family’ that related to the Bush family from Crouch and the standard headline used at the time in the press for families who had several members serving in the forces, either overseas or at home. The article erroneously states that Mr & Mrs Bush had ten sons in uniform when in actuality there were only four, with Jesse Joseph, the second oldest, recently discharged from the Navy for ‘Service No Longer Required’ (which in layman’s terms meant he was given the sack.) Jesse’s father, also named Jesse, was ex-military himself and had served with the Royal West Kent Regiment in the first Boer War during the early 1880’s. In 1883, while stationed in Dublin, he married a local girl named Katie Martin and shortly afterwards he went into the Army Reserve, and they set up home in Birling, Kent. By 1886 the family had moved to Larkfield when Jesse Jnr. was born on 12 August, and in 1891 they were living in Clare Park near East Malling. Jesse’s father had found work as a farm labourer, a job young Jesse followed into once he’d left school. Like many people working in agriculture, the Bush family lived wherever they could find work, and in 1901 were based in East Farleigh before eventually settling in Claygate Cross, near Crouch around 1911. However, before that in June 1902, shortly before his sixteenth birthday, Jesse decided that labouring in the fields was not for him, and joined the Royal Navy. At the time he was recorded as being 5′ 4” with light brown hair, blue eyes and a fresh complexion. He was rd Boy 2nd Class, which covered boys aged 15 to 17 and rated as such on entry to a training ship of the Royal Navy. Such admission was conditional on a boy’s adequate physical height, weight and medical fitness and evidence of being of ‘good character’. The boy’s parents or guardians would sign a declaration that he would serve in the navy for a minimum period (usually 12 years). Jesse’s first posting was to HMS Impregnable, a training ship moored in Devonport, Plymouth, and he was based there until 30 October 1903, when, as he was now over 17, he was rated Boy 1st Class. Jesse was then transferred to HMS Agincourt, another training ship, before being assigned two months later to HMS Berwick, a recently completed armoured cruiser of the Monmouth Class. Jesse enlisted on his eighteenth birthday (12 August 1904), and rated Ordinary Seaman, rising to Stoker, 2nd Class in September 1905. After time spent at the naval barracks in Chatham, and two years on the Sapphire II (a depot ship based at Portland), Jesse became Stoker 1st Class and posted to HMS Bedford, another Monmouth class armoured cruiser that had recently been recommissioned and sent to China Station. The Bedford was eventually wrecked on 21 August 1910 off Quelport Island in the China Sea, however before then in 1909 Jesse had transferred to HMS Andromeda, which was operating in the same region. Up until that point, Jesse’s naval career had been punctuated by regular time spent in the punishment cells (including 28 days hard labour) and totalled 48 days by the time he left China and returned to Chatham. Unfortunately, there are no records of his misdemeanours, so it is unknown how severe they might have been. He served on several more ships over the course of the next few years, and when war broke out in August 1914, was on board HMS Shannon, which was the flagship of the 2nd Cruiser Squadron. In October 1914, the ship was patrolling off the coast of Norway and almost intercepted the armed merchant cruiser SS Berlin on several occasions. Having remained relatively trouble-free over the preceding five years, Jesse fell back into his old ways, and between 13 November and 9 February 1915 he was given 90 days hard labour for an unspecified reason. Following this last round of punishment, Stoker Bush was unceremoniously discharged from the Navy. 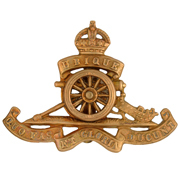 By the summer of 1915 Jesse’s brothers, Leonard and Frank were serving with The Buffs (East Kent Regiment) and Sydney with the Army Service Corps (Motor Transport Department.) Leonard was recovering from a leg wound sustained at Ypres and Frank had recently been ill with spotted fever that he had contracted in the trenches. It probably won’t ever be known why Jesse re-enlisted; however, it does seem likely that he would have been under some pressure from his father and siblings to do so. Between 26 September and 3 October 1917 the 3rd Division, of which the 29th Battery formed part, was involved in the Battle of Polygon Wood, the fourth phase in a series of battles that were collectively known as Third Battle of Ypres (or Passchendaele.) It was during this battle that Jesse was wounded and later died in hospital of his injuries on 9 October. This may have been in Le Tréport, which was a vital hospital centre along the coast from Dieppe. Jesse is buried in Mont Huon Cemetery in Le Tréport, and his parents were eventually sent his medals.